Police in northern California were called out to reports of an individual running through a residential neighbourhood in the early hours of Wednesday 10 April. The suspect was estimated to be hairy, just over 1.5m tall and around 56kg. It was also a bear. 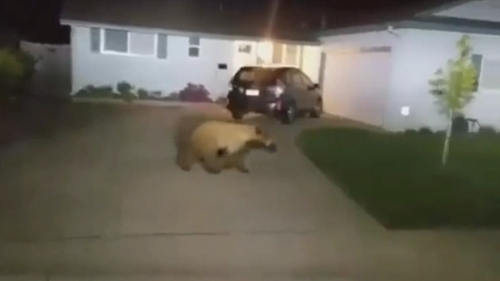 Officers in Yuba City were advised by officials from the California Department of Fish and Wildlife to let the bear "leave the area on its own". However, shortly later they received a second call for the sighting of the same bear. This time, responding officers managed to confine the animal to a field where it climbed a tree. Wildlife officials tranquilised the visitor and were able to return it to its natural habitat.